Hello there! It was soooo hot today so I decided to stop complaining about that and I took a sunbathe. I'm not sure if I actually tanned lol but it was good. 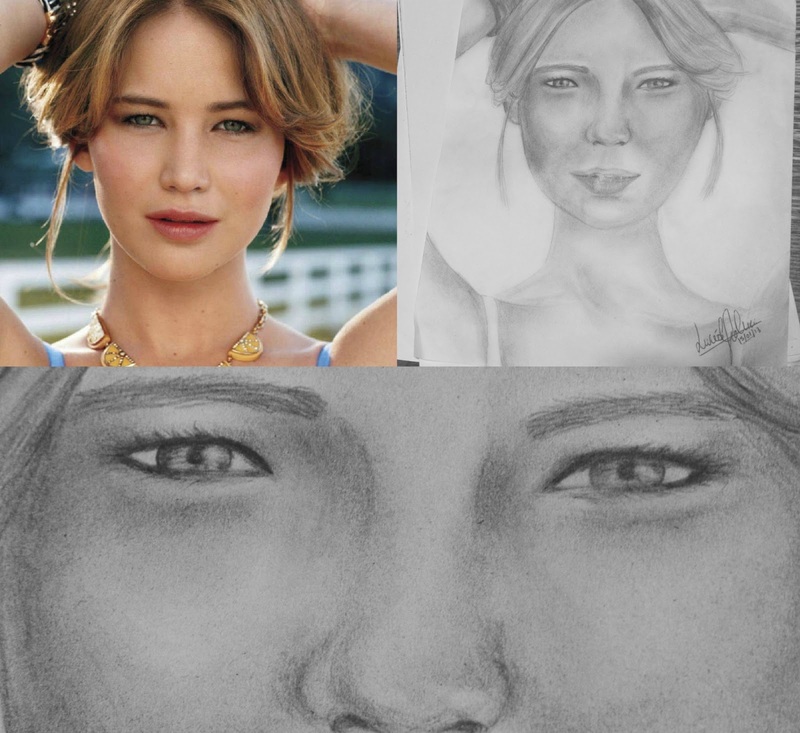 Yesterday I was kinda bored so I tried to draw Jennifer Lawrence.. okay this is a big fail I know.. My little brother, he told me: 'That's not even close'. My brother is the cutest kid in the world, right? lol. I finished it today , it took me so long! .. Anyway, at least I tried!